Skin fat, dry and dead skin cells and dirt can accumulate in the sebaceous glands and clog the skin pores. At first, blackheads develop. 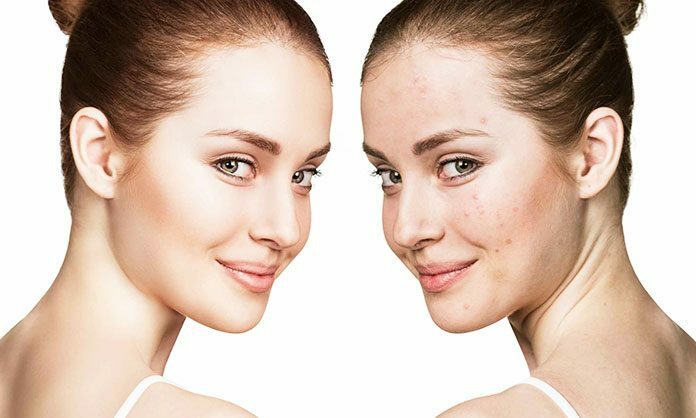 Over time, there is often an increased accumulation of bacteria that inflame the skin pores and cause acne. The best way to avoid clogged pores is to take good care of your skin. Simple home remedies help eliminate dead skin cells, skin fat, dirt and impurities from the skin and cleanse the pores. This ensures a smooth and youthful appearance of the skin. 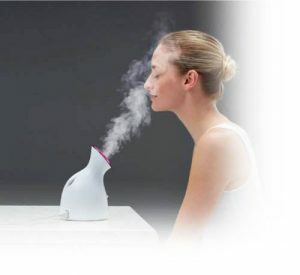 Steam baths gently cleanse pores. It promotes blood circulation in the face, opens the pores and helps to wash away impurities from the skin. To prepare a steam bath: fill a pot with water, cover and heat the water in it. When the water is hot enough and begins to steam, remove from the heat. Put the pot on the table and hang a towel over your head and bowl (so that the steam can not escape). With the rising steam soak the face for 10-15 minutes. Then pat the face dry and then sprinkle with a little rose water and massage gently. (When used regularly, rose water helps to neutralize the pH of the skin and reduce pores). Repeat the steam bath two times a week. Note:- The water should not be too hot to avoid burns and not dry out. 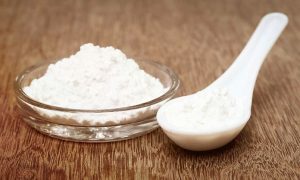 Baking Soda is one of the most impressive foods for the skin. It acts as a natural exfoliant, frees the pores of dead skin cells and removes dirt and impurities from the skin. Soda also helps to regulate the pH of the skin and gives the skin a young and smooth appearance. ⇒ Then Create/mix a smooth paste. ⇒ Apply the paste to the face with a gentle massage for a few minutes. Then leave the paste to work for 5 minutes, then rinse with lukewarm water and pat dry with a clean towel. ⇒ Repeat the application once a week. Lemons have a cleansing effect and rid the pores. The contained citric acid in freshly squeezed lemon juice acts as an exfoliant. It cleanses the skin, removes dirt and excess oil and opens clogged pores. 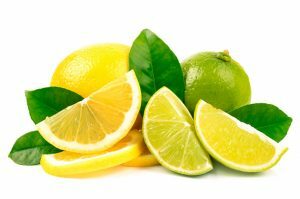 Just add freshly squeezed lemon juice to the affected skin, rub gently for 10 minutes, then rinse with warm water and dab dry. Cream the clean face with a mild moisturizer or coconut oil. Use the paste to the affected area and gently scrub the skin for 5 minutes. Leave for 10 minutes and then rinse with lukewarm water. Repeat the application two times a week. Papayas contain the enzyme papain, which is particularly beneficial for the skin. Papain helps to purify the skin naturally, to clear clogged more precise and to remove dead skin cells. With regular use of papaya, the skin becomes softer and smoother. Peel off a piece of raw papaya skin and rub in the affected area of skin for 5 to 10 minutes. Then rinse the area with lukewarm water to remove dissolved dead skin cells, skin fats, and dirt. 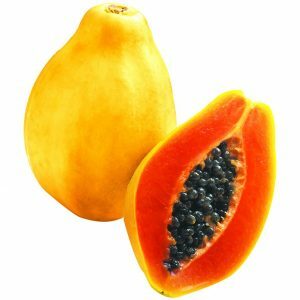 Note: Especially raw, still green papayas are very rich in the enzyme papain. Honey provides the skin with moisture and at the same time opens clogged pores. 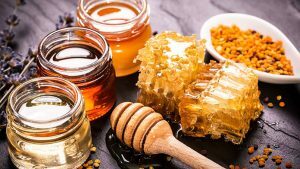 Honey removes excess oil from the skin and reduces pores when used regularly. ⇒ Just put some honey on the affected area and gently massage in with your fingers. ⇒ Allow to soak for a few minutes and then rinse with lukewarm water. ⇒ Repeat at least 3 to 4 times a week to prevent clogging of the pores. ⇒ Apply the mixture to the face and let it work for 15 minutes. Then rinse with lukewarm water. ⇒ Repeat the mask once a week to remove impurities and nourish the skin. Sugar is an impressive and natural exfoliant. It helps to open the pores and rid the skin of impurities. ⇒ Use the mix to the affected area and massage in circular motions for five minutes, rinse the skin with cold water and then apply a moisturizer or coconut oil. ⇒ Apply the scrub once a week to cleanse the skin and prevent clogged pores. ⇒ Clean the skin 1 to 2 times a week with oil. ⇒ Regular sauna sessions. Sweating during the sauna helps to cleanse the skin deeply. ⇒ Makeup is as little as possible. Makeup clogs your pores faster. ⇒ Avoid chemical skin care products. 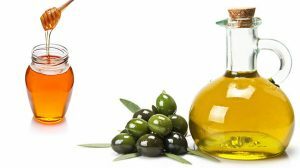 Many skin cleansing products, though clean the skin, but with it remove a large portion of the skin’s protective oil layer, thereby promoting the impurities and pimples. ⇒ Drink enough water. Depending on your body size, the body needs 2-3 liters of pure water per day. There are several home remedies to cleanse the skin naturally. In addition to good skin care, it is essential to drink enough and to eat rich in nutrients. 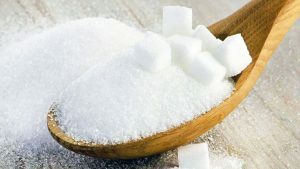 The consumption of sugar, as well as fried and processed foods, has a negative impact on the skin. For lasting and fast successes such foods should be avoided. It is worth it.